Right now, at time of writing, we're in winter's icy grip. Snow is falling, as is the temperature, but there is one saving grace. Each morning as we wake and prepare to face the day, we do so with a steaming mug of coffee to help. And recently we've been carrying said coffee in bamboo and corn. No joke. We check out the Zuperzozial Cruising Travel Mug. Okay, we're not going to make you sit through the usual 600-700 words that we give to the typical review. 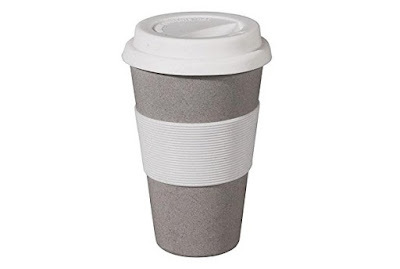 After all, this is a travel mug: something you probably have several of right now in your kitchen cabinet. What makes the Zuperzozial Cruising Travel Mug unique is the both the materials used, and the environmental concern that has gone into the production of it. Yes, it is made from bamboo and corn, and no, it does not crumble when wet. What it does do is hold your coffee (or tea, or coco, or whatever) very securely in a good looking and light travel mug. That is because that bamboo and corn is reinforced with resin, while keeping the main part of the cup biodegradable. And that is the other important part. As a society we are using waaaaaay too many paper cups, especially when grabbing the morning coffee on the way into work. That is bad for environment, extremely wasteful, and causes problems like littering. 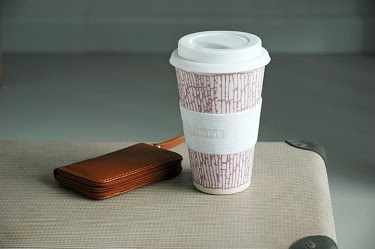 We need to start using reusable coffee cups, and the Zuperzozial Cruising Travel Mug is the ideal choice. It is light as a feather in your bag, the silicon lid forms a tight seal, and the silicon grip insulates your hand and makes it easy to grip. It's a great travel mug, and is available in huge range of colours and prints. And hey, get this, fill it up every morning instead of using a paper cup, and know you're 'doing your part'. Good on you, man.